It’s ‘Lethal White’ Publication Day! The day has finally arrived! 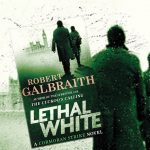 After months of teasing from J.K. Rowling, to the announcement that her close friend Robert Galbraith had finally finished the book and the release date reveal, it’s finally September 18th – meaning it’s publication day for the fourth Cormoran Strike novel, Lethal White! 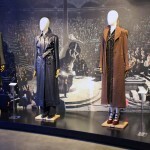 Those wondering what J.K. Rowling’s mysterious twitter headers have meant over the past months to those debating how Robin and Cormoran’s dynamics may change as a result of Robin’s marriage will finally be answered, and by the end of today (most likely, let’s not pretend us Potter fans have any restraint when it comes to reading books on publication day) we’ll have even more questions for book five! Join us in wishing a very happy publication day to Robert Galbraith / J.K. Rowling! Let us know what you’re thinking of Lethal White so far, and show us photos of your copy via Facebook, Twitter and Instagram!